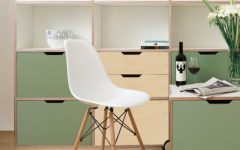 Less than a year in, Mosaico is already making a statement in the world of sustainable fashion. And, with a little bit of their help, you can too. 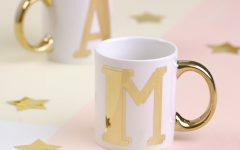 Masters at blending together elegance and fun, luxury and affordability, Mosaico Jewellery is bringing together the best of all worlds, making their name much more than just catchy – it’s an ethos. 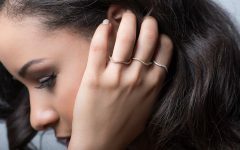 Founded by Paula Kamers and Jenefer Prentice in 2018, Mosaico Jewellery brings to life the duo’s cultural heritage, including Brazilian, British, and South African. Brilliantly bespoke, the designs are the result of Paula and Jenny’s love of gemstones and their collective expertise. 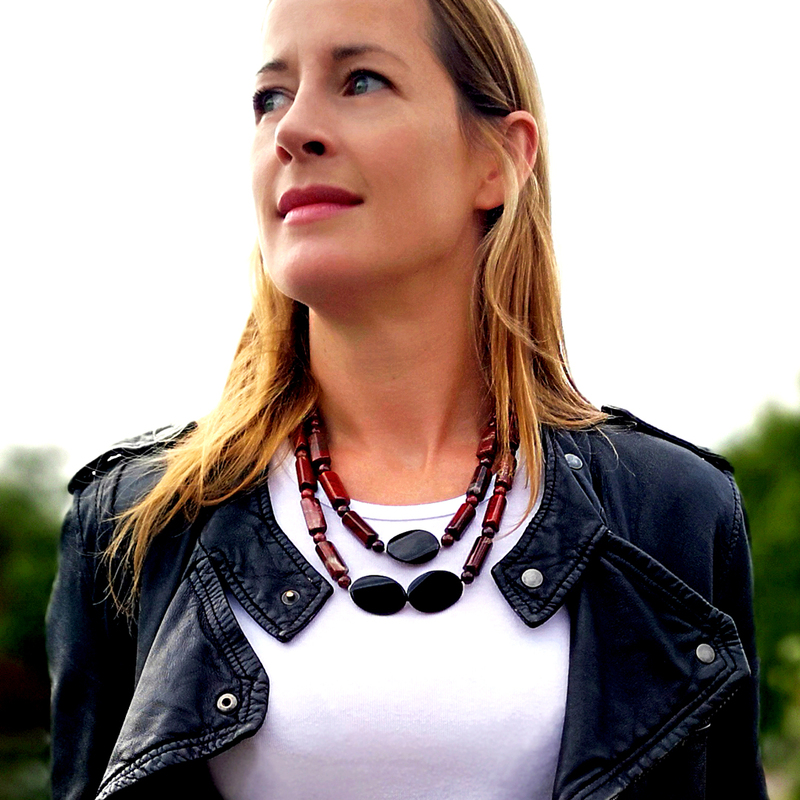 Jenny, who has over a decade of experience in the jewellery industry, works with Paula, who is the marketing expert, to create statement-making jewellery that is as colourful as it is unique. And, naturally, the two are also best friends. “Our designs are fun and fashionable,” says the team about their latest Mosaico Jewellery collections. 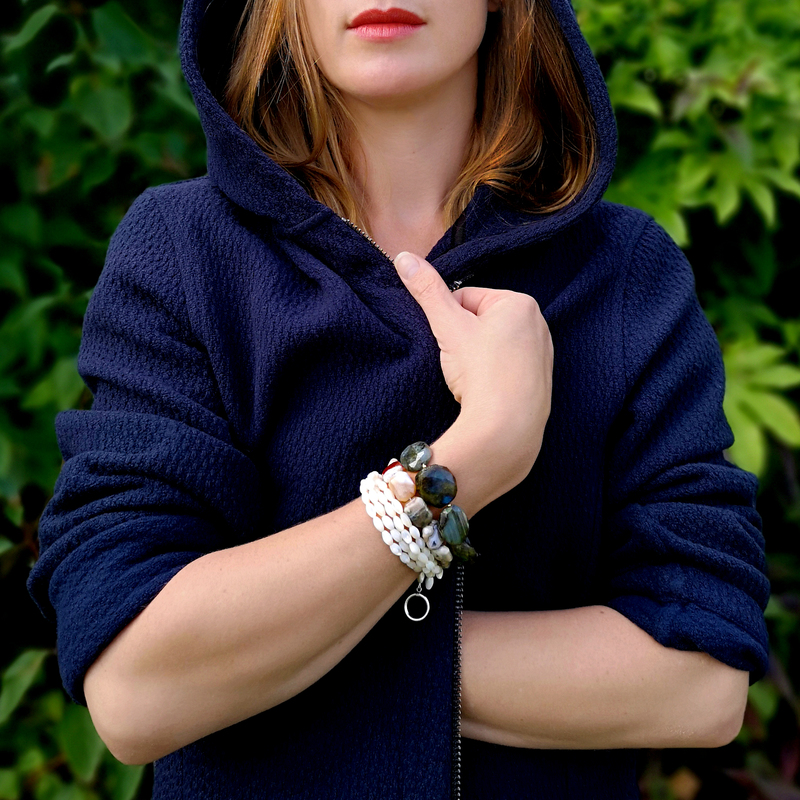 “We want people to celebrate their individuality and make a statement with colours, unique features and the energy of each stone.” Each piece of Mosaico Jewellery is made by hand and, because many pieces are exclusively made just once, they are true works of art that reflect the personality and character of the women who wear them. 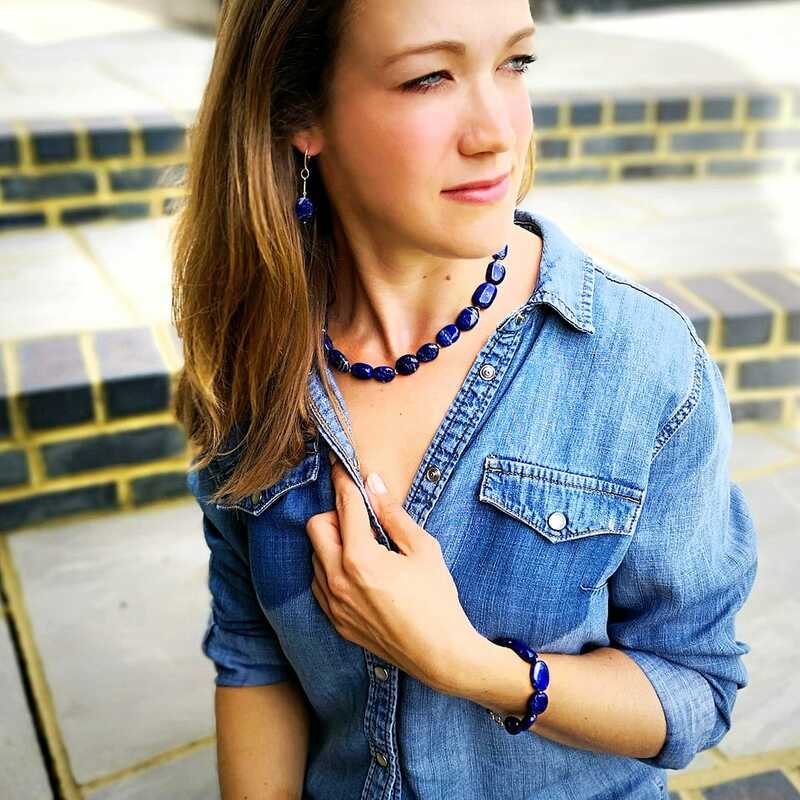 Working with semi-precious gemstones, pieces from Mosaico Jewellery manage to be both bold and elegant, allowing women to pair them with their own style for a look that is truly all their own. A stunning collection of bracelets, necklaces, earrings, and lariat necklaces, Mosaico pieces of been seen in many major publications, including British Vogue, Vanity Fair and Tatler. Their latest Autumn-Winter collection is inspired by the colours and shapes found in nature. The semi-precious gemstones selected for the designs represent an exploration in colour and individuality. A great collection to mix and match to create your own unique jewellery set, below we have included some of our favourite pieces. Gorgeous and versatile, the statement Queen of the Night Necklace has a vintage vibe that we can’t get enough of. The Smokey Quartz gemstones and pendant made from Onyx and Cat’s Eye add to the mystique. A marquise-shaped Brazilian Agate is the centre of attention in this delicate bracelet. 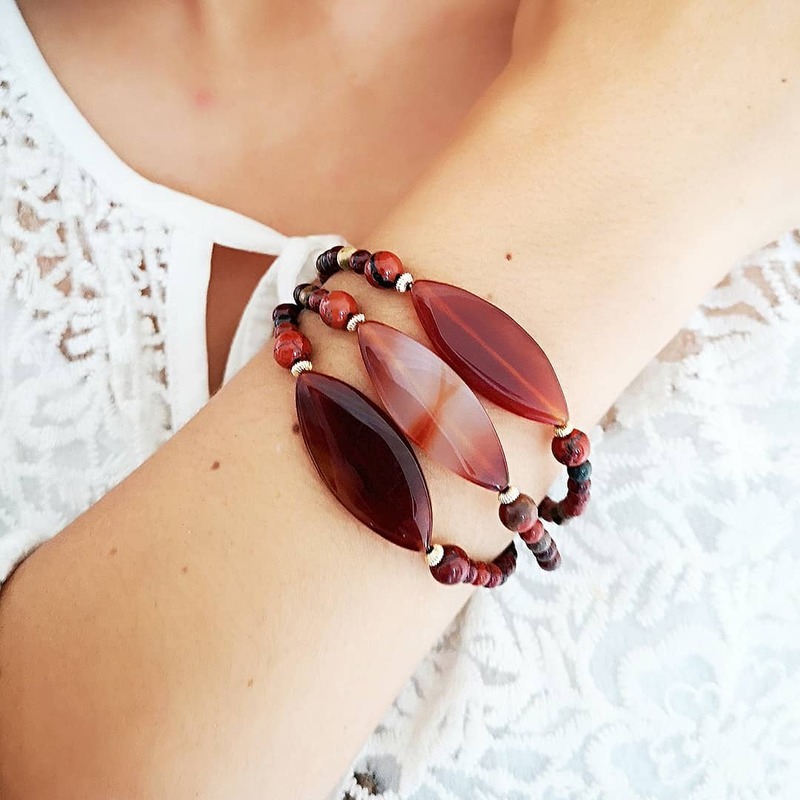 Complements of red Apple Jasper gemstones give it enough firepower to warm up any look. The Belle Bracelet looks great worn individually or stacked as pictured. 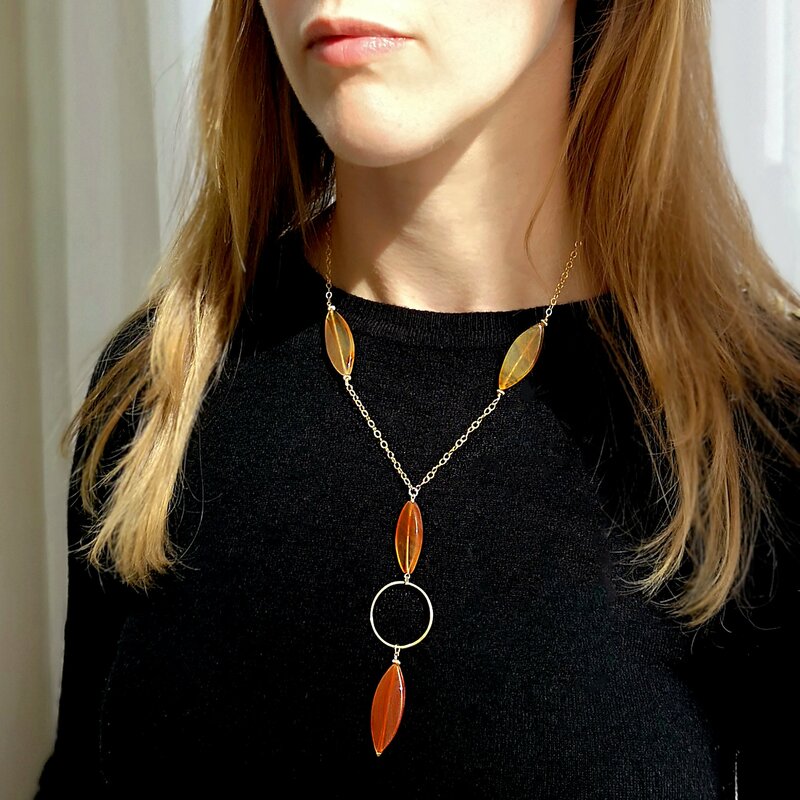 Available in both light and dark variations, the stunning Belle Necklace highlights the natural beauty of Brazilian Agate. Adjust the length to make the look all your own. 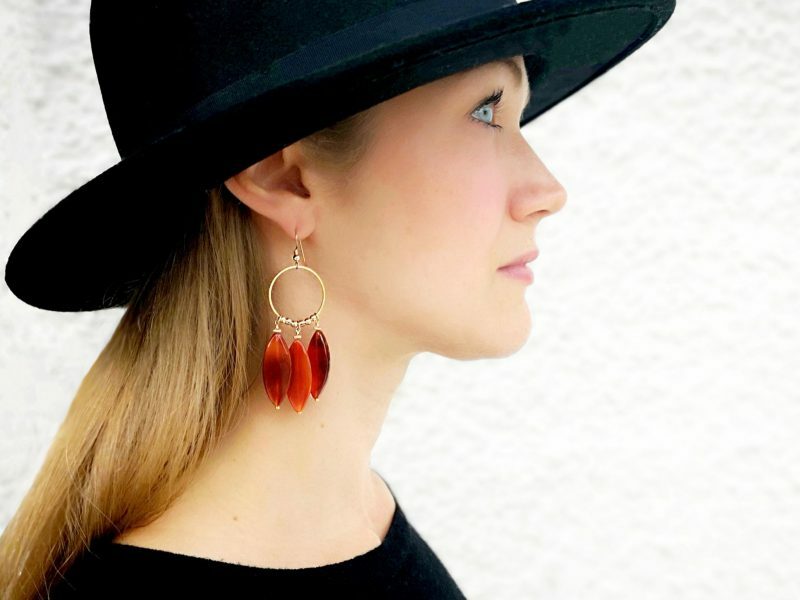 Reminiscent of gorgeous autumn leaves, these stunning handmade Belle Earrings are modern and stylish. 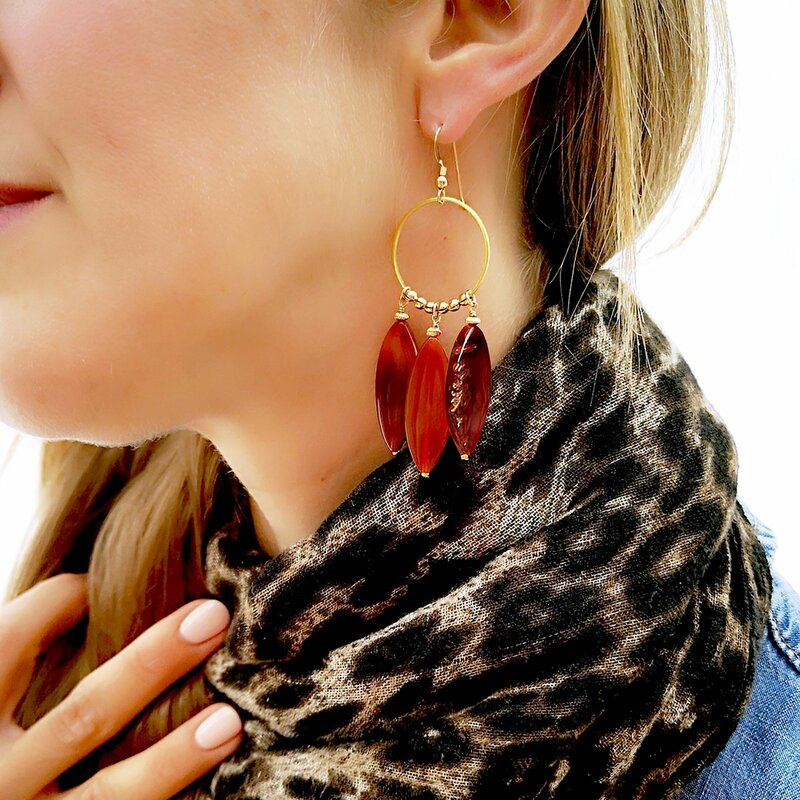 Pair with the matching Belle Necklace or let them shine on their own. Guaranteed to shine wherever you wear them – whether to work or out on the town. Boldly coloured, the statement Stardust Necklace mixes vibrant hues of Rainbow Jasper, Black Agate and red Apple Jasper for a look you simply won’t see anywhere else. Pictured above being worn by Jane Bardos, an actor and singer in the West End (Phantom of the Opera, Side Story, Carousel), who is a great supporter of the brand. Carefully handcrafted, this gorgeous lariat style features contrasting colours for a bold look that’s surprisingly easy to wear. Adjust the length to your neckline and taste. Fun and chunky, the unique Kentia Bracelet is crafted using Labradorite natural stones, which brilliantly reveal their vibrant hues of blue, orange, and green. Pictured here with the Emma Bracelet and Tessa Bracelet.